Segment Editor for Season 2, exploring weed, dating, death, and more. Two award-winning NYC chefs take on the challenge of plating their KFC chicken masterpiece. Tech brand film and :30 TV Commercial thanking sports coaches and showcasing the new Krossover app. The journey of an ice hockey coach in building his team. :30 TV Commercial aired on CNN. A documentary short film like Dreams of Sushi but for Chef Yamada Kosuke’s famous Oyako-Don dish. Released on Great Big Story, explores the science of obsession in Hulu’s Original Series Chance, starring Hugh Laurie. Fashion brand film for startup LiLu.NYC, about the fantasy lifestyle of night-time freedom. Vimeo Staff Pick Fashion film depicting two guys accelerating to climax. Sheldon Smith created The Dovetail Project to break the cycle of absentee fathers. :30 TV Commercial aired on CNN. Documentary short film about an Achilles athlete who never lost sight of what really matters despite being physically impaired. Released on Great Big Story, explores the phenomenon of animals falling from the sky, inspired by Amazon's show Lore. American Express welcomes NBA's Paul Pierce to Brooklyn. CLIO Sports Bronze Award Winner. A brand film that explores the memories that shape each new line of fragrances for Aerin. Girl gets dumped via balloon, promoting the new Dollop mobile app. Lenovo web series about Fantasy Football and TurDuckens featuring actor J.B. Smoove. A few satirical music videos bringing to life real card member stories through actor Anders Holmes. Disney Princesses inspiring girls everywhere. Live action inter-cuts as well as lots of GIFs. 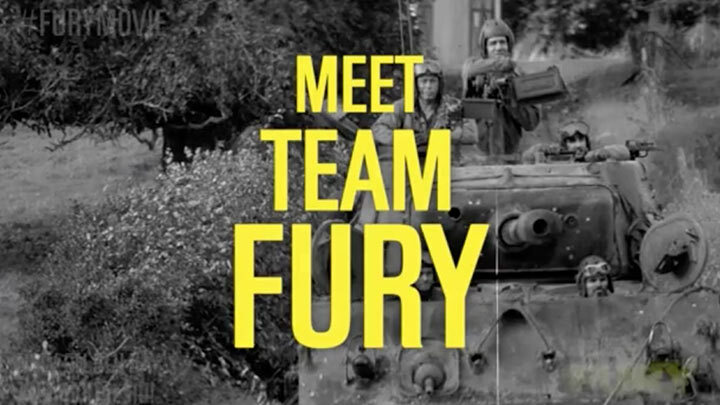 A series of 4 teaser trailers to promote the blu-ray release of the Sony Pictures Film Fury. Editor and compositor for a series of internet mashup-style videos to promote Facebook's new features. Janice and Jeffrey work out their differences with hot trainers. Celebrate a Veteran with art. :60 TV Commercial aired on CNN. Fashion dance film, where man and woman are separated by a door. A fighter quickly finds himself on the losing end of a brawl, but somehow finds a second wind.